Cuba offers some of the best fishing in the world today. As well as being a fantastic place to take a vacation in the Caribbean, many people don't realise that Cuba offers some of the best fishing in the world today. The lucky people who do realise this and have actually been fishing in Cuba have experienced catching the hardest fighting fish that you can catch from anywhere on the planet. The great thing is that it doesn't matter what your favorite type of fishing is such as fly fishing or deep-sea fishing, Cuba really has something for every fisherman. One of the popular things that fly fishermen do on arriving in Cuba is to go bone fishing in the shallow crystal clear waters around Cuba. Bonefish are really the most powerful fish you'll ever catch and will give you one of the best fights of your life! 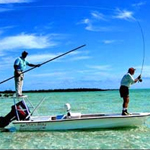 There was a specific area set aside just to catch bonefish in Cuba in 2002. This has become a very popular place with catches of over 20 fish in a single day. Prices will vary but will be well worth the small price for a fantastic day's fishing. 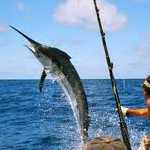 Deep-sea fishing in Cuba is also hugely popular throughout the whole year. The warm tropical waters hold some of the largest and most powerful fish in the world. The fish you'll be trying to catch are Swordfish, Barracuda and Tuna. There are actually many places in Cuba now where you can charter a fishing boat and a qualified skipper will be able to take you directly to the best places. Freshwater fishing is also quite popular and there are many competitions for catching bass. Many of these are held over a three or four-day period, and the prizes can actually be a lot of money. These competitions are taken very seriously by the fishermen who enter them, and they must pay a substantial entrance fee to be allowed to fish in the competition. 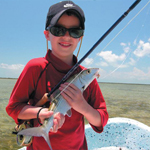 To find more information about fishing in Cuba. You should either talk to your local travel agent, or in our opinion, the quickest way is to have a look on the Internet. There are many specialized fishing tours and packages available, on many different web sites all-catering to anglers looking for package tours. You can find these sites by searching in Google. Often, you'll be able to get better discounts by booking online than you would do if booking the normal traditional way. So it is worth spending a bit of time searching the web as it could save you a lot of money in a long run. A: Cuba has many places to stay, catering to all types of budgets. One of the favorites is the Hotel Florida Havana Cuba. Nicely made and edited video from www.solidadventures.com who offer guided fishing trips in Cuba. Great video about this annual event which attracts over one hundred participants from 20 countries.